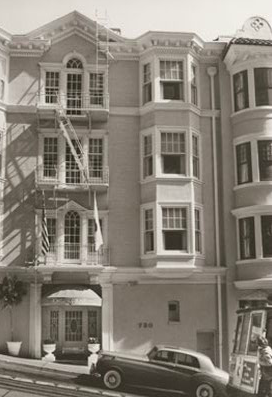 Situated in the prestigious Nob Hill section of the city, Powell Place is a charming four-story Edwardian building near the Union Square district. Check out this video to see what Powell Place is all about! Powell Place is surrounded by everything that makes San Francisco special. Explore the ethnic culture of Chinatown or visit the Performing Arts Center, where you'll find the Herbst Theater, the War Memorial Opera House, and the Davies Symphony. The San Francisco Museum of Modern Art specializes in contemporary works. For seafood, Fisherman's Wharf is the place to go, and it's right over the hill. Be sure to check out the links above for everything you need to know about our guest services, including check in time and parking information, as well as some great tips on things to do and see while in San Francisco. We're happy you're interested in staying at Powell Place, and look forward to seeing you soon! Please contact us with any questions you may have.